Local. Organic. Fresh. Herbs. If these words appeal to you, listen as Northwest Ohio's first only-herb commercial farmer and flavor guru offers his perfect trifecta of business sense, experience in food service, and gardening to a teeny tiny plot of organic land that is bringing big results! His clients include local grocery stores, Turkeyfoot Creamery, and various buyers via FreshSpoke. 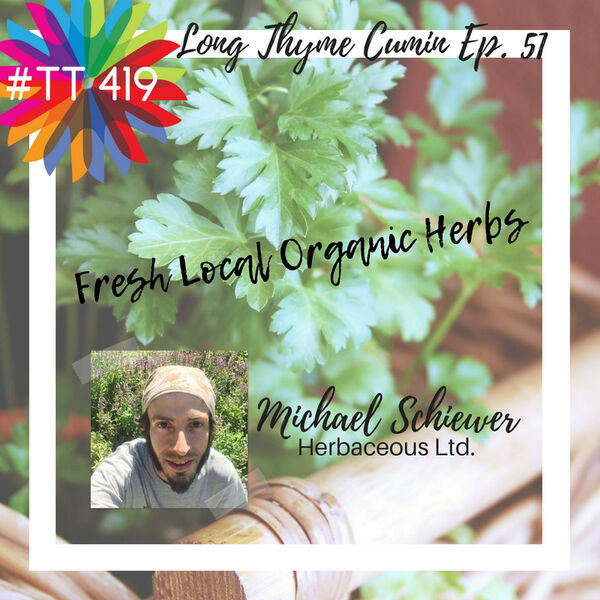 The name of his farm is "Herbaceous Ltd."
Michael shares this advice if you're thinking of trying your hand at growing herbs. Start with plants that are close to the ground and have square stems. Good ones to try are sage, thyme, savory, oregano, basil, mint, and tarragon. If you would like to learn more about Herbaceous Ltd., please check our their very green and herbaceous Instagram page under Herbaceousltd.